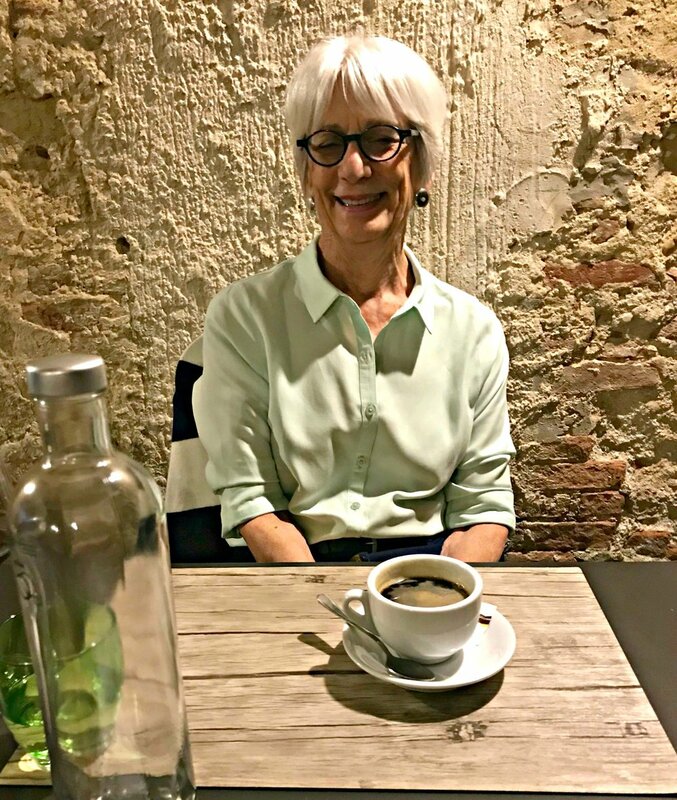 This was Jackie's 3rd time to visit me in Montepulciano. She is a woman with an extremely busy schedule and yet when she's here she takes a deep breath and relaxes for a few days. She was here during the Bravio festivities. We enjoyed participating in several activities; neighborhood dinners, watching the candle/torch lit parade through the village, and nightly time trials of the wine barrel rolls. We should have known better but were always waiting for an event to begin at the 'suggested' start time, so that a 9:00 p.m., event would be more likely to start at 9:45. 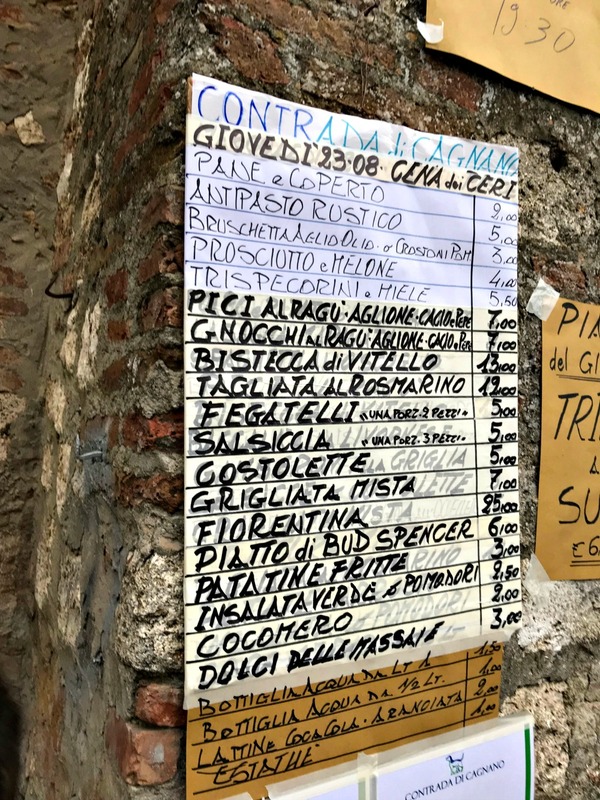 I keep reminding myself that I'm in Italy, to relax and enjoy the wait. And in that spirit, we spent hours sitting on benches, bus and otherwise, just waiting; talking, people watching, enjoying the scenery. 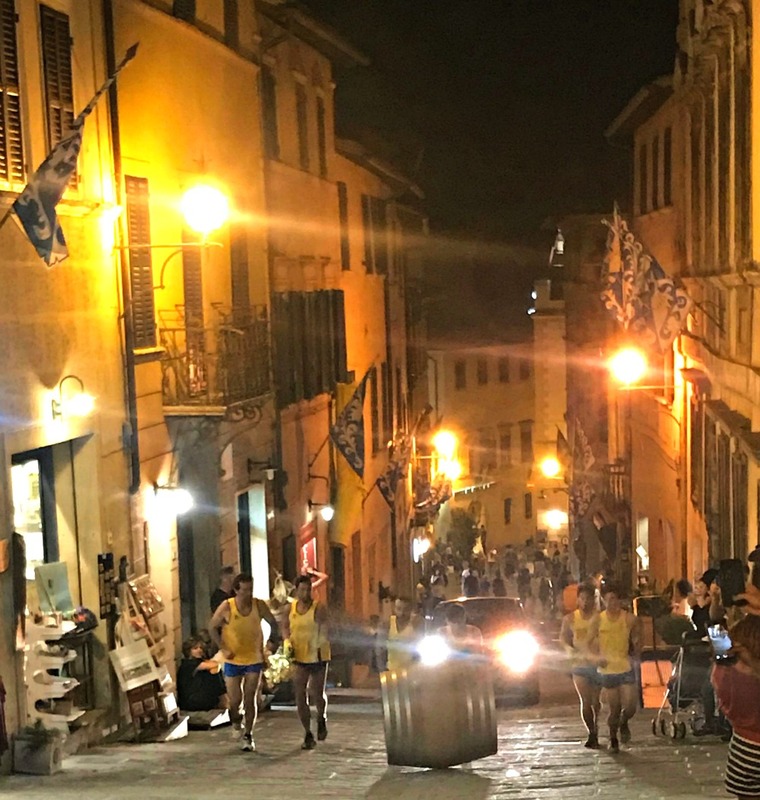 Each night, for a week, the wine barrel racing teams would hold time trials between 10 and 12 pm (22:00 - 24:00) and the race route passed by the apartment. We'd jump up and get to a window when we'd hear the barrels being pushed uphill, where we'd critique technique, teamwork, and enthusiasm. From dinner we found a place to sit awaiting the parade for which all lights in the village are turned off and lighting is by candles placed on either side of the via/corso and then by torches carried by some of the parade participants. All 8 contradas had gorgeous new costumes this year made my an Umbrian company. There must be several hundred costumes since each contrada has a full contingent of medieval characters, from children to older or at least representing the aged. It would be difficult to be really elderly, don a heavy costume and take an hour walking uphill all the way to the Piazza Grande. 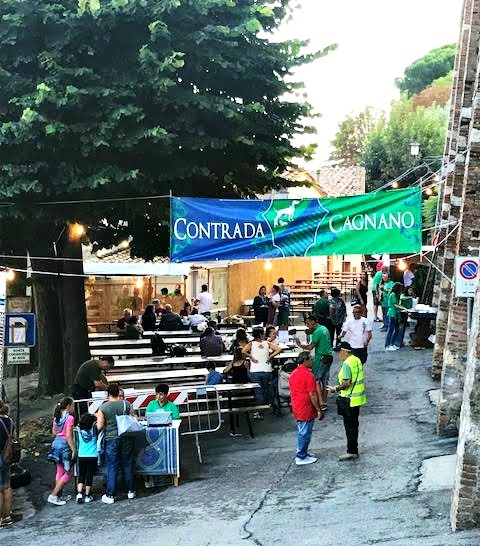 Waiting in line for yet another contrada dinner next to St. Augusto church. We walked, we ate, we drank wine, we napped, we viewed the gorgeous scenery, in short, we had a great week. That pile of something on Jackie's plate is not what it appears to be; it's pork roast. She said thank goodness it was half fat because otherwise, it would have been way too much to eat. While she enjoyed it, the expression of her face is not one of "yum" but rather from my admonition to her to "smile". So she did! She had a safe trip back to Sacramento, then naturally, she was back to a full days work on Monday.